For almost 20 years, UC Davis has celebrated the benefits of international education and worldwide exchange during International Education Week (IEW), an initiative of the U.S. Departments of State and Education. 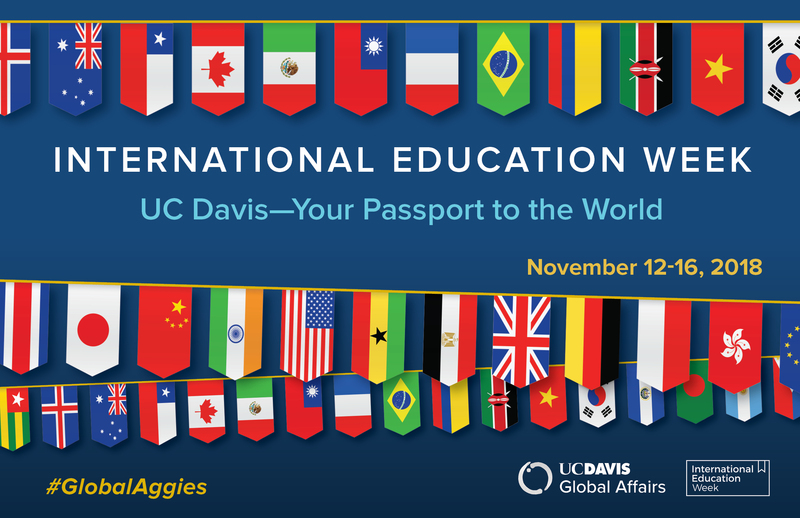 The national week brings opportunities to participate in cultural and educational programming here at UC Davis and share your international stories and experiences on social media using #GlobalAggies. social events for connecting with students, scholars, and families. Date/Time: Sunday, November 4, 2:00 p.m. Embodying strength and stoicism, five Venezuelan women from diverse backgrounds each draw a portrait of their country as it suffers extreme food and medicine shortages, a broken justice system, and widespread fear. The women share what life is really like for them and their families as the truth of the country’s difficulties are repeatedly denied by the government. Featuring stunning visuals and creative soundscapes, Women of the Venezuelan Chaos presents a beautiful country and people, who remain resilient and resourceful despite immense challenges. An audience Q&A will follow the screening. Sponsored by the UC Davis Humanities Institute and the Human Rights Studies Program at UC Davis in partnership with Human Rights Watch. Date/Time: Monday, November 5, 4:00 p.m. – 6:30 p.m.
World renowned guests and interactive panel from Africa and African diaspora. Debates on women and genital cutting, child marriages, human rights, STEM, charity and compassion, and more. Live entertainment from Afrovibes. 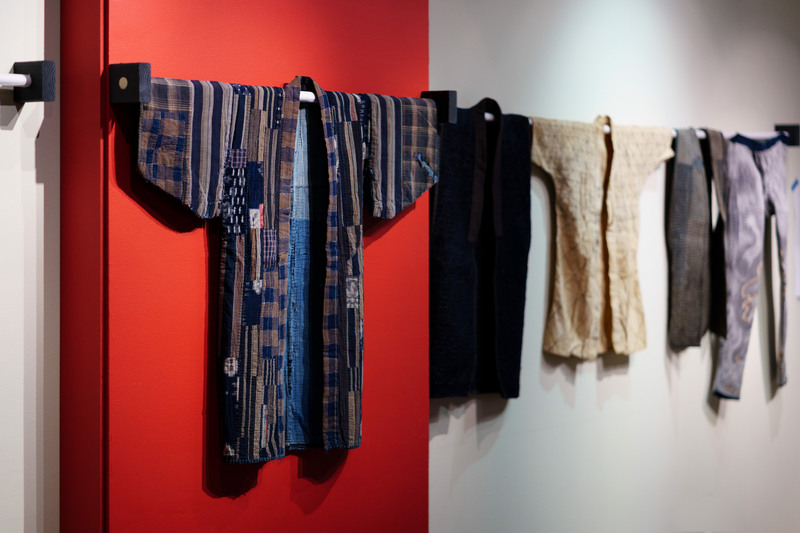 Date/Time: Sunday, November 1:00 p.m.
“Tekunikku: The Art of Japanese Textile Making” is an exploration of Japan’s iconic textile design methods featuring fabrics and garments from alumna Catherine Cerny’s extensive collection. The exhibition opens the UC Davis’ Design Museum’s 2018-2019 season running through December 9. Garments from the collection of Catherine Cerny. Photo by Justin Han, copyright UC Regents. Tekunikku: The Art of Japanese Textile Making. Date/Time: Monday, November 12, 6:00 p.m.
Date/Time: Tuesday, November 13, 11:00 a.m. – 2:00 p.m.
Come join UC Davis student organizations, departments and units who will showcase the variety of ways to be internationally engaged on campus. 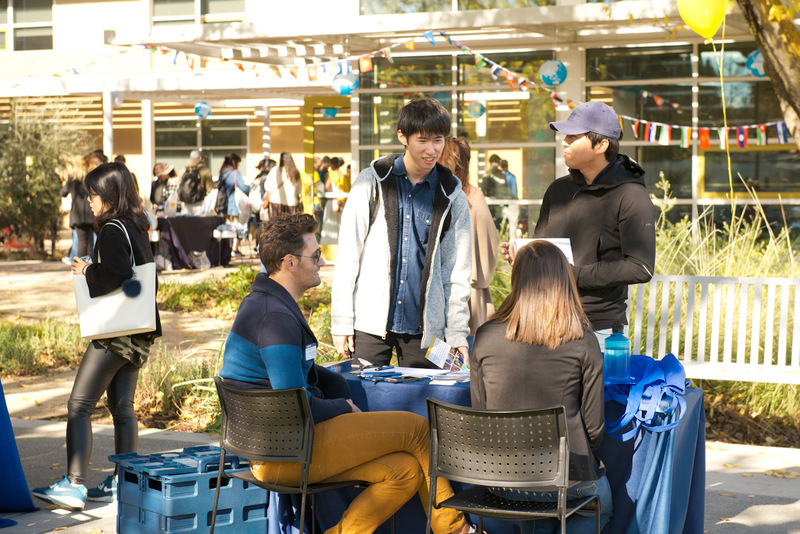 Explore cultural display booths from international student organizations, music and dance from around the world, learn about opportunities to study or work abroad, international food trucks will be present, and much more! Sponsored by UC Davis Global Affairs and UC Davis Continuing and Professional Education, International. NOTE: UC Davis classes in Davis and Sacramento are canceled on Tuesday, November 13, due to poor air quality as a result of the Butte County fires. While the campus is open, we have canceled today's International Fair at the International Center due to poor air quality and classes being canceled. If you have any questions about the fair or International Education Week, please email Greg Gundersen. Date/Time: Tuesday, November 13, 4:30 p.m. – 6:00 p.m.
Line Clausen Pedersen is an art historian, educated in Copenhagen, London, and Florence. Since 2008, she has been a curator at the Ny Carlsberg Glyptotek (Copenhagen, Denmark). Focusing on the history of the museum and its collection of French art, Pedersen will discuss her work in Copenhagen and internationally, including the exhibition Gauguin: A Spiritual Journey, a collaboration between the Glyptotek and the de Young Museum in San Francisco. Date/Time: Wednesday, November 14, 1:10 p.m. – 2:00 p.m.
Come learn about how to take your research to the next level by incorporating global perspectives. Learn about strategies and tips on how to expand your work to make a global impact. Date/Time: Wednesday, November 14, 3:00 p.m. – 4:00 p.m.
Come learn about how your financial aid will follow you for study abroad! And, find out what scholarships are available to you! Date/Time: Wednesday, November 14, 3:00 p.m. – 5:00 p.m.
Come celebrate the many languages used and learned in our campus community at the Language Diversity Fair! Showcasing the relationship between language and culture, the fair will give participants a chance to experience many different languages and how foreign language skills are important for your future goals. Come listen to live music, try a variety of foods, and create different arts and crafts! Additionally, challenge yourself in pronouncing different languages in the friendly competition sponsored by the Davis Language Center and learn more about the new Language Tandem Exchange program. We look forward to seeing all of you Multilingual Aggies there! Date/Time: Wednesday, November 14, 4:00 p.m. – 5:00 p.m.
Are you interested in conducting research or field work abroad? Join us for a grant writing workshop with the Blum Center and learn how to successfully write a grant that can help you to fund your project and make an impact internationally. Date/Time: Wednesday, November 14, 4:00 p.m. – 6:00 p.m.
Date/Time: Wednesday, November 14, 6:00 p.m. – 7:30 p.m. The Beyond the Book Club will host group discussions based The Book of Joy. There will be multiple, rotating discussions and plenty of snacks and drinks. Among other topics, we'll discuss how folks communicate their ideas and perspectives, as well as the significance of cultural competency. Date/Time: Wednesday, November 14, 6:00 p.m. – 9:00 p.m. The Center for Student Involvement and Global Affairs will be hosting an international karaoke and game night. Now is your chance to sing your favorite international hits! Date/Time: Thursday, November 15, 9:00 a.m. – 10:00 a.m. The Global Aggies Research Showcase will highlight research that has a global focus. Come join your fellow Aggies and learn about research taking place on our campus and around the world. Prizes will be raffled! Date/Time: Thursday, November 15, 12:00 p.m. – 1:00 p.m.
Wesley Young, Director of SISS, will provide a brief summary of his participation in the October 2017 Fulbright US-France International Education Administrators (IEA) program. More broadly, he will describe the benefits of this type of Fulbright program for UC Davis staff and faculty who have significant administrative responsibilities related to international education. Fulbright has IEA programs in India, Taiwan, Japan, South Korea, France, and Germany. Date/Time: Thursday, November 15, 1:00 p.m. – 2:00 p.m.
Have you ever wanted to work in a different country or considered interning with an international organization? Come to an Internship and Career Center (ICC) workshop and explore different ways to find international internships or overseas employment. Plus, these experiences could be important for your professional development and help you reach your future career goals. Find out how! Date/Time: Thursday, November 15, 2:00 p.m. – 3:00 p.m.
Date/Time: Thursday, November 15, 3:00 p.m. – 5:00 p.m.
Join us as UC Davis students, faculty and staff regale us with personal stories about mountain top rescues, troubles at the border, and treetop hideouts! Through the art of storytelling we create connection and understanding of who we are as a global university. Date/Time: Thursday, November 15, 4:45 p.m. – 8:00 p.m.
UC Davis Dining Commons celebrates International Education Week 2018. Relish the delicious International cuisine prepared by the Dining Commons all week long!! Enjoy Chef Kue Her’s International Special Dinner on Thursday, November 15! Date/Time: Thursday, November 15, 6:00 p.m.
Date/Time: Friday, November 16, 10:30 a.m.
Date/Time: Friday, November 16, 7:30 p.m. – 10:00 p.m.
Quiet and reserved World War I trench battle veteran Tom Sherbourne (Michael Fassbender) takes a job as a lighthouse keeper on a remote island, Janus Rock, off the Australian coast. He meets Isabel (Alicia Vikander) in the mainland town and their immediate mutual attraction leads to marriage. Their happiness is marred by two miscarriages. Then a rowboat washes ashore, containing the body of a man and a crying baby girl whom Isabel persuades Tom to raise as their own. A complex story unfolds, about love and guilt, forgiveness and redemption, the meaning of parenthood and the ramifications of difficult decisions. With Rachel Weisz as Hannah Roennfeldt and Florence Clery as Lucy-Grace. (#437). Date/Time: Friday, November 16, 6:00 p.m. – 9:00 p.m.
Diwali is the festival of lights symbolizing victory of light over darkness and knowledge over ignorance. Every year the Indian Graduate Student Association at UC Davis celebrates Diwali with spirit and enthusiasm. From traditional dance and music performances to fun games, yummy food, photo booths, they have it all. Date/Time: Saturday, November 17, 1:00 p.m.
Students checking out educational and cultural opportunities at the International Fair during International Education Week last year. See more photos. Last year we celebrated our 15th International Education Week. The week wrapped up with an International Fair at the International Center, a chance to hear about international organizations and participate in cultural activities.